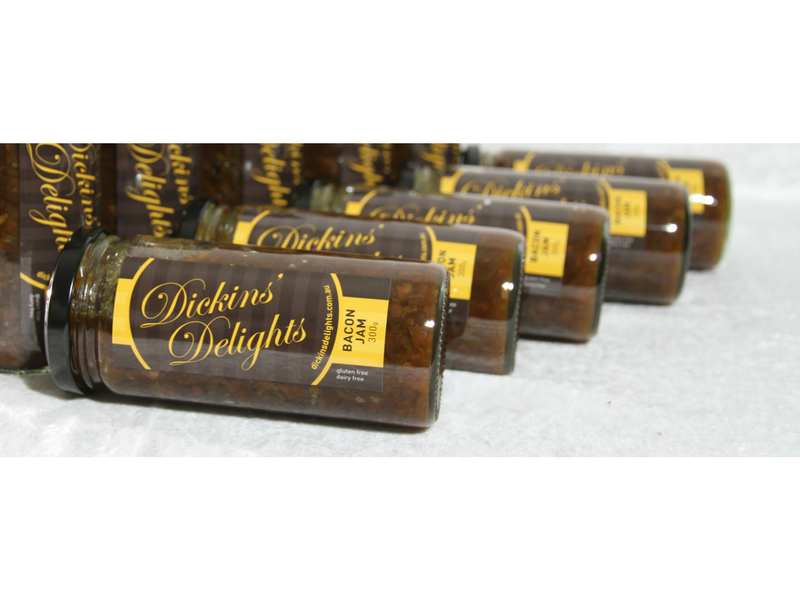 Dickins’ Delights pride themselves on producing the finest quality toffee. 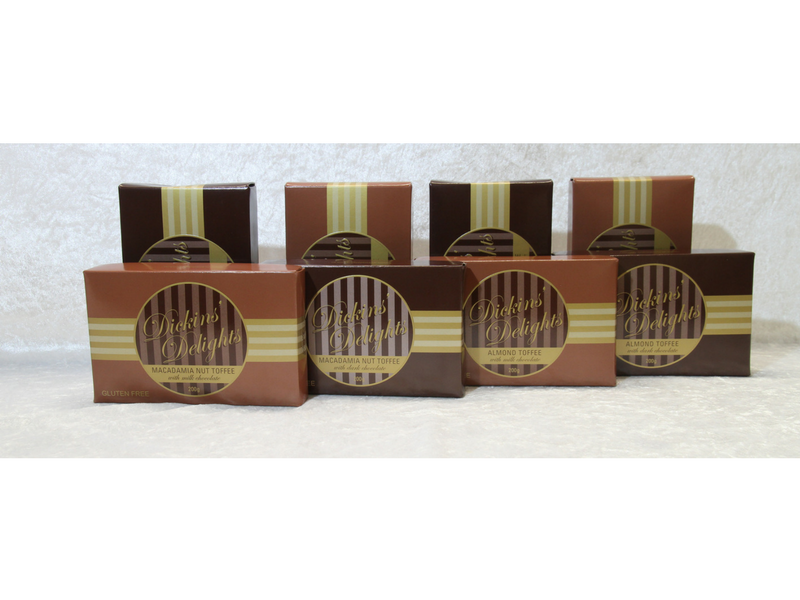 Using only the best ingredients, they carefully follow a time honoured recipe to hand produce ‘melt in your mouth’ butter toffee. Their product range includes Rocky Road, Caramel Corn, Salted Caramel Sauce or Rich Chocolate Sauce, 6 flavoured Balsamic Reductions; Chilli & Garlic, Ginger & Garlic, Lemon & Lime, Honey & Ginger, Blackberry and a straight Reduction plus Bacon Jam. At the 2017 Australian Food awards they received a Gold medal for their Macadamia Milk Toffee and a Bronze medal for the Bacon Jam. 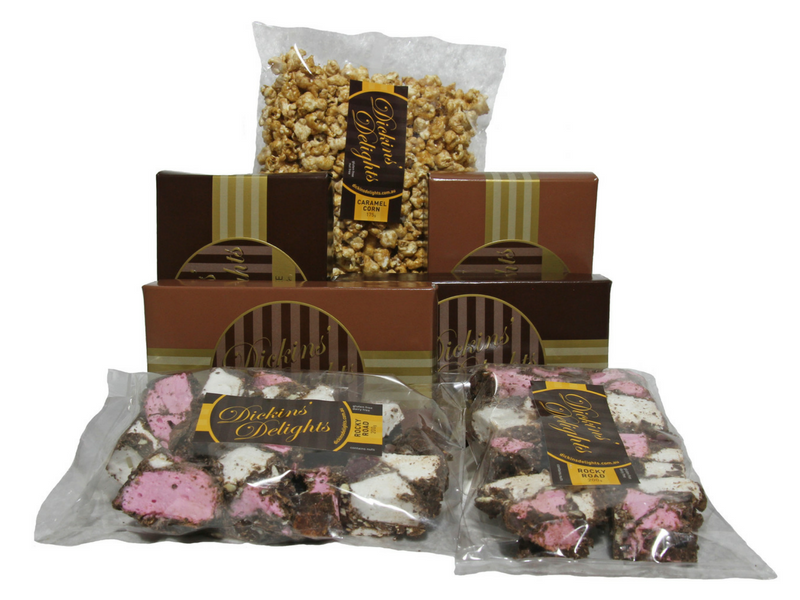 All products produced by Dickins’ Delights are Gluten Free.